Take a deep breath, Vikings fans. The Vikings are not opening the 2018 season against the Eagles, after all. 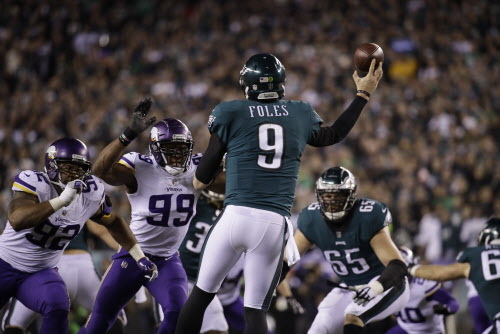 A radio report a few weeks back said the season opener would be a rematch of the NFC Championship Game, in which the Eagles trounced the Vikings en route to the Super Bowl LII title. However, the Philadelphia Inquirer is reporting the Eagles will host the Falcons in Week 1. The Vikings won’t travel to Philadelphia until Week 5, according to Inquirer report. The official NFL schedule will be announced at 7 p.m. CT on NFL Network. Just like this, you can expect a few leaks — some true, some false. Here’s what we know for sure: The Vikings will play at least 16 games. Where it starts and ends, we’ll know soon enough.